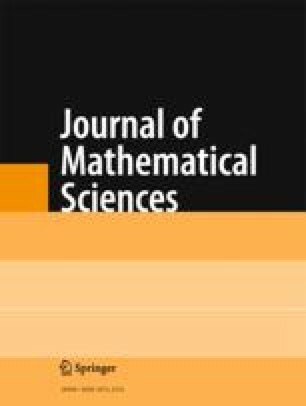 A survey is made of 227 papers contained in the section on algorithms in the journal “Applied Statistics” and published in 1968–1987. The papers contain descriptions of statistical algorithms and the texts of the corresponding programs in the languages FORTRAN and ALGOL. The programs realize methods relating to the estimation of parameters, testing hypotheses, regression and variance analysis, planning of experiments, analysis of time series, calculation of distribution functions, etc. Translated from Itogi Nauki i Tekhniki, Seriya Teoriya Veroyatnostie, Matematicheskaya Statistika, Teoreticheskaya Kibernetika, Vol. 26, pp. 151–203, 1988.